The wood moisture content indicates the percentage of water in the wood and is an important parameter in wood processing. It provides information about the technological and mechanical properties of the wood. Wood is hygroscopic, and as such responds to fluctuations in humidity: if the humidity drops, the wood moisture content also goes down. In other words, there is a constant relationship between the humidity and the moisture content. This is known as the wood equilibrium moisture content. This equilibrium does not change immediately – it takes time, depending on the thickness of the wood. 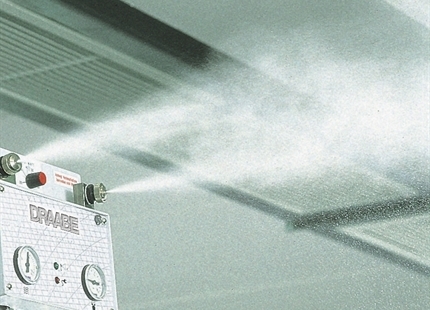 The addition of air humidification is therefore an important factor in ensuring trouble-free production. It will prevent distortion, warping and surface cracks, and the splitting or rupture of joints and frame corners can be prevented just by maintaining an optimum humidity level. If water soluble paints are used in the painting process, air humidification will facilitate better adhesion and fewer problems. A low or fluctuating humidity level can also lead to irregular drying or the paint drying too quickly, from which the surface quality suffers. A constant optimum humidity level improves the paint absorption capacity of many surfaces and can also counteract the tendency to bubble and streak. A humidity level that is too low can also have a negative effect on the adhesion and laminating processes: Should glue or other adhesives dry too quickly, their adhesive force may become limited and subsequent loosening and detachment of bonded materials and components may be the result. 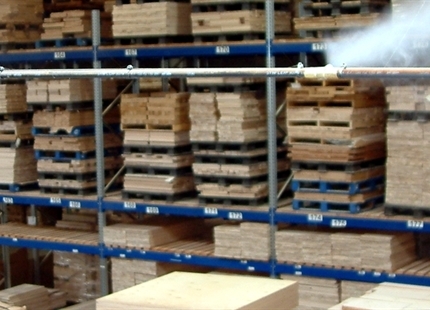 Air humidification binds dust created in wood processing quickly and prevents the dust from whirling in the air. Surfaces attract less dust and remain clean and free from particles longer. An optimum and constant humidity level also helps to counteract the typical effects of dry air, such as dry mucous membranes, respiratory illness and other ailments. Summary of DRAABE air humidification benefits of the wood industry.